Spiffing news for genealogists everywhere! And after a L O N G build up (the teases) the project is finally complete. Over 40 million records held at The National Archives have been restored, scanned and transcribed to produce a fully searchable database for your sleuthing delight. 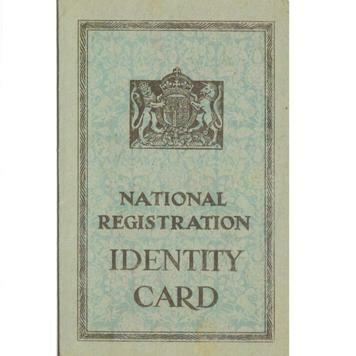 At the outbreak of the Second World War the government undertook an assessment of the population in order to issue identity cards, ration books and aid other planning (e.g. conscription). Unlike the census records the exact date of birth is recorded which will make it much easier to track down other records, such as birth certificates. Citizens were also asked to record any other names they had previously been known by, such as maiden names. This extra information should help you to track down the correct birth and marriage certificate much quicker. Plus, the details of any name changes by deed poll could help you solve some mysteries! What’s also great about this record set is that it was maintained right up until 1996, so any future name changes are also recorded. The records for anyone born less than 100 years ago will be closed to protect the privacy of the living. As time passes more records will be released as individuals pass the 100 year old threshold. However, you will be able to request that a record for someone born less than 100 years ago is opened if you can provide proof of death. 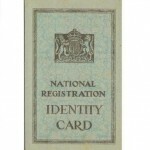 How Do I Access The 1939 Register? The 1939 Register records are available to search on the findmypast website from today. The database is free to search and you can see a preview of the record transcription before you commit to purchasing the full record. The preview will show name, year born and place of residence. The number of other people in the household is also shown with a breakdown of how many are available to view now, and how many are closed due to the 100 year rule. With the 1931 census destroyed by fire, no 1941 census due to the war and the 1921 census not due for release until at least 2021, the 1939 Register really is a crucial resource. …and provides a fascinating insight into your ancestors lives as they prepare for 6 years of war. Start discovering your family’s wartime story with the 1939 Register here.